Here at Glenns Motorhomes we aim to make selling your motorhome as simple and convenient as possible. When you sell for cash, we offer a fair sum to take your motorhome off your hands, converting your old vehicle to money without any hassle whatsoever. Our expert team will evaluate your motorhome and provide a speedy quote equal to the best market value. This method is quick and convenient, and we ensure that every transaction is carried out securely, efficiently and without any headaches. When choosing a buy on behalf of service, we work with you to find the best deal for your motorhome without the hassle of selling your vehicle privately. Glenns Motorhomes will handle all of the financial and logistical aspects of the sale. We display your motorhome for sale on our premises, aiming to provide the highest cash return for your vehicle with complete security and transparency, taking a percentage of the final price. Whatever option you choose, you can rely on the expert team at Glenns Motorhomes to provide a professional and reliable service at all times. 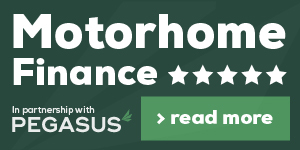 We offer advice and assistance for those looking to sell motorhomes, RVs, campervans, trailers, cars, bikes and vans, throughout Nottingham, Derby and Chesterfield. To discuss the sale of your vehicle with us, don’t hesitate to call us on 0115 971 7509 today or get in touch online with our friendly team.